Macaron Day 2014 Is Here! March 20 is worldwide Macaron Day, which means FREE MACARONS at participating bakeries all over the world! Huzzah! Here's more on the freebies in NYC. 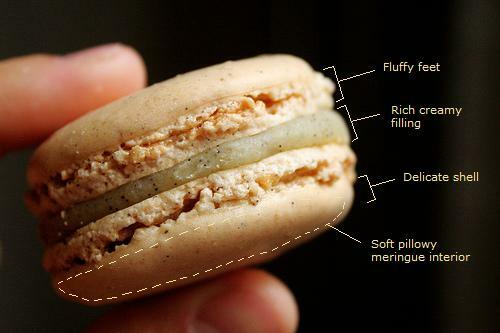 Now, let's delve into the world of the Macaron. Macaron? I thought it was "Macaroon?" 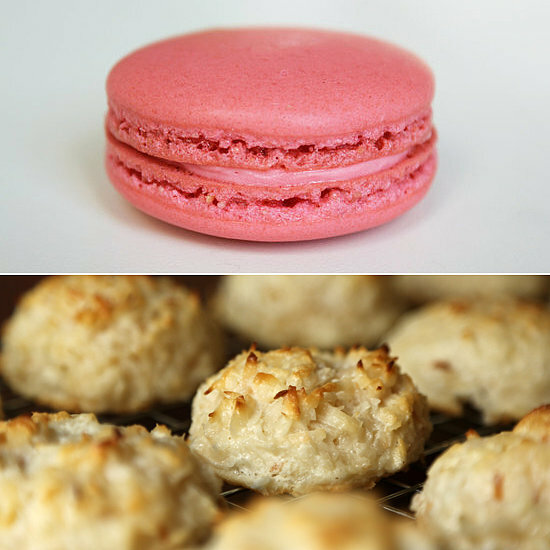 A Macaroon is a coconut drop-cookie, and while delicious, are nothing like their French friends. No offense, Macaroons. Rhymes with "raccoon." National Macaroon day is May 31. What makes a Macaron so special? Oh man, I'm jealous of you, because if you're asking this question, it means you have never eaten a Macaron. I wish I could be you, and eat a Macaron again for the first time. You lucky dog! People go loopy over Macarons because they're eye-crossingly yummy, but also because they're complicated. The diagram above will lay it all out for you. They're also pretty tricky to make, so you can ooh and ah over the artistry. With your mouth full. How do you make Macarons? Yeahhhh, have fun with that. Listen, French Macarons take a lot of patience to make at home. You can't cut corners with any ingredients or steps, but if you do master them, you will be très populaire! Foodnouveau.com has an exhaustive list of tips and tricks, but for beginners, check out this Youtube tutorial. Macaron-making for dummies! Hooray for Macaron day! How do I get free Macarons? In NYC, You can check out the Macaron Day 2014 page here, or go straight to this handy map to plan your attack. Not in NYC? Not to worry! Macaron Day is celebrated all over the world (in Japan it's March 21) so check with your local bakeries to see if they're celebrating with freebies, discounts or events. And be sure to post your Macaron Day photos here!